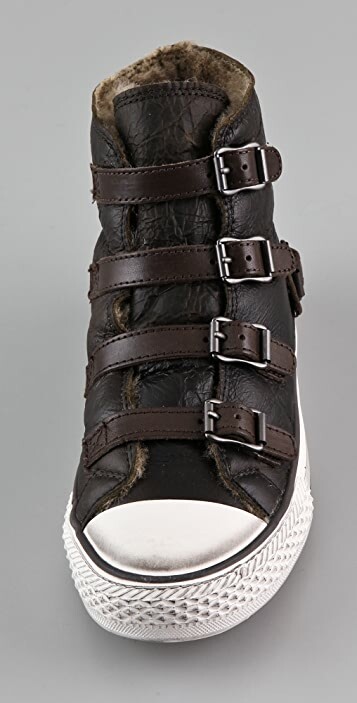 These suede high-top sneakers feature buckled straps at the upper and heel cap. 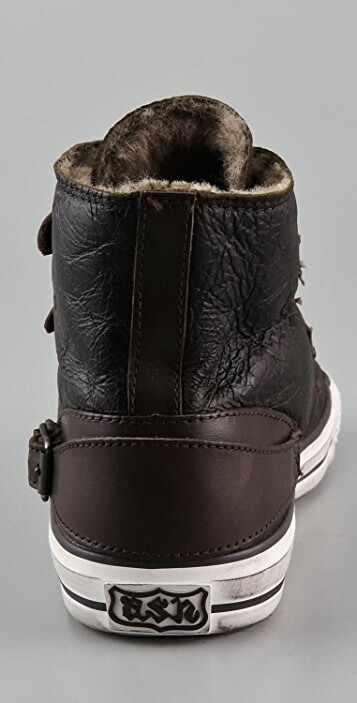 Shearling lining. Dirtied rubber toe cap and sidewall. Rubber sole. * Shaft: 4.5" (11.5 cm). * Fur: Dyed sheep, from China. * This item cannot be gift-boxed. I have walked in these shoes for hours each day all over Paris. They are warm and comfy. 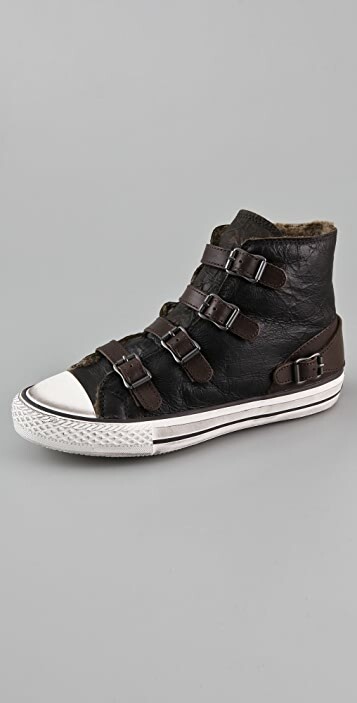 Because of the shearling lining they do appear chunkier than the traditional converse but acceptably so. 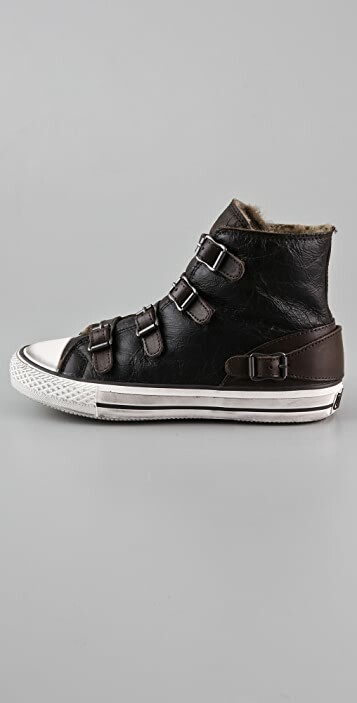 I would highly recommend these shoes if you love the look of converse but cannot bear the cold and discomfort of them in the winter.